Home / Market Insight, Financial Articles / Target Corporation: Can TGT Stock Move Past Bathroom Policy? Target Corporation: Can TGT Stock Move Past Bathroom Policy? Like any politician not named Donald Trump, Target Corporation (TGT) could have easily sidestepped a thorny issue by “Pleading the Fifth.” Instead, TGT went in guns blazing. Two weeks ago, the big box retailer announced that its guests and team members can use restrooms or fitting rooms that correspond to their gender identity. According to the Associated Press, Target became the first major retailer to publicly stand up for so-called transgender rights. At the same time, they drew unwanted attention at a particularly sensitive time, potentially harming the Target brand and TGT stock. A Christian activist group called The American Family Association fired back at the retailer immediately, calling for a boycott of Target stores. In the week following the transgender policy announcement, the AFA collected more than 744,800 pledges. In its second week, the AFA tacked on nearly 430,000 additional signatures — nearly a 60% increase. This supports AFA’s claim that the boycott proposal is one of their most popular campaigns. It also puts TGT in a defensive position that doesn’t help the company in any way. The timing of the decision is certainly peculiar. After all, the economy isn’t exactly a cauldron of opportunity. Since 2013, annual revenue for TGT has been largely flat, whereas fierce rival Wal-Mart Stores, Inc. (WMT) — despite recent hiccups — has generally shown modest growth. Long-term investors of Target stock have also noted rising inventory levels over the past several years. And while Wal-Mart’s head executive Doug McMillon has personally voiced opposition to conservative advocacy movements, WMT as an entity smartly avoided the transgender identity issue. From a business standpoint, it comes down to raw numbers. Admittedly, quantifying the transgender population in the U.S. is difficult due to fears of discrimination, according to the National Center for Transgender Equality. However, various research firms have produced rough estimates between 0.1% to 0.3% of the total population as being transgender. According to U.S. Census data, that amounts to less than one million people who identify that way. Consequently, this figure is outnumbered by just the AFA petitions. Understandably, TGT wants to protect its corporate message of inclusion and diversity. However, gender itself can be hard to define. For example, Facebook Inc (FB) offers an “extensive list of gender identities” for its users, which suggests gender as a preference as opposed to an existential right. Moreover, several TGT stores already offer unisex restrooms. The decision to weigh in so strongly on such a divisive issue has to be worrying for holders of Target stock. Since the retailer’s April 19 announcement, TGT stock has dropped 6.5%. Coincidence? I wouldn’t be too sure. First, there were no significant news items that would explain the sudden bearishness in TGT stock. Further, the announcement day also coincided with the company’s all-time closing high. The last time Target stock was this elevated was in July of last year. The negative impact isn’t just limited to angry evangelicals. According to marketing intelligence firm YouGov BrandIndex, the number of people that would consider TGT for their department store shopping needs fell from 42% to 38%. The study further indicated that a growing number of shoppers — especially women — heard negative comments about the company. 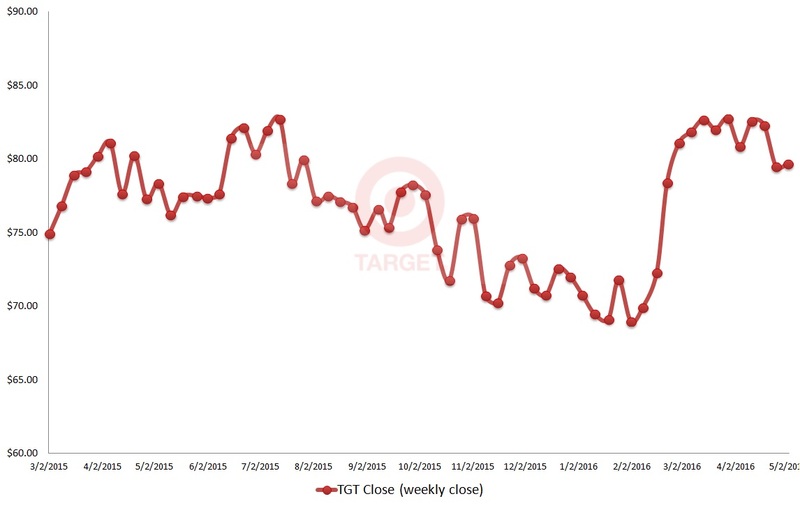 Interestingly, brand perception of TGT is down to its lowest level in eight months. This is not to say that Target stock is going to collapse from here on out. But what smart investors will key in on is the wholly unnecessary drama that TGT executives created. With unisex restrooms in tow, the retailer could have easily skirted controversy. Instead, they took a hard-line stance, promoting a very small social movement over the conservative sensibilities of millions of Americans. The decision not only hurt TGT stock, it’s risking the brand image Target purportedly wants to protect. Article printed from InvestorPlace Media, https://investorplace.com/2016/05/target-tgt-stock-transgender-policy/.